Reading those words, one cannot help but call up the present-day issues of suburban sprawl, iPhone addiction and the impending autonomous vehicle revolution. Suburban social isolation has driven millennials and the moneyed classes downtown, where they can find retail, restaurants, parks and work within walking distance. The suburbs as we know them are becoming a thing of the past. Beaverton, Hillsboro and other Portland suburbs are growing like crazy, even as they seek to woo back tech workers who have abandoned them for Portland’s city center. But urban planners are not squeezing the newcomers into your grandfather’s cookie-cutter homes. They are retrofitting and reimagining suburbia for the market demands of the 21st century, fending off the dark future Mumford imagined. The question is whether they will succeed at reinstating suburbia’s original promise of peace and prosperity. The decision came as a surprise, in part because the suburbs are not what they once were when Lattice opened its first facility there. One by one, tech companies, the economic engine of the suburbs, have fled for Portland. Intel, Salesforce and other suburban tech giants are struggling to win back talent. Cultural shifts, especially among the millennial workforce, have made the suburbs less appealing. White-collar employees in any number of industries have started to abandon the dream of a white picket fence or a three-car garage. Family sizes have decreased. Car culture has weakened. People have left strip malls for Amazon. At the same time, an affordability crisis has pushed both longtime Portlanders and newcomers to the ’burbs. Beaverton planners expect the city's population will reach 130,000 in the next 20 to 30 years, much faster growth than their original forecast. Hillsboro is planning for 56,000 more by 2045. All of these technological, cultural and political influences mean the suburbs are no longer what they used to be. They are more diverse, racially and economically. They are growing more crowded. Their economic engines are sputtering. Their former strengths — wide lawns and wider roads, strip malls and office parks — are becoming weaknesses. The suburbs need rebranding. Developers have fashioned a crude portmanteau, “surban,” to describe their solution. The idea holds that the coveted young, skilled professional wants a truce between “suburban” and “urban.” They seek both urban energy and suburban solitude. Newland Communities, a developer with 34 master-planned communities in its portfolio, set out to capture the demographic shift by building a better suburb. Just off Highway 8 en route to Hillsboro, the 463-acre Reed’s Crossing is taking shape. The price tag runs into the hundreds of millions, according to the developer. The plan is anchored by a 23-acre greenway full of wetlands, native plants and timber sculptures. Street space yields to bike lanes and sidewalks, slowing cars and prioritizing people. The development stresses architectural diversity in its 3,000 single-family and 1,000 multi-family units. Connectivity is king. A major bus line will stop nearby. Parks lead to other parks, and safe walking routes link homes with the schools and retail center. You can even walk to Intel. The project caters to fairly affluent consumers, with prices for the townhomes and single-family residences that will hit the market this summer ranging from $300,000 to $750,000. A little more than half of the target demographic is millennials. In one nod to their tastes, the 36-acre town center will feature only small, local brands. It won’t have too many to account for the growth in online shopping. The old suburbs were isolated by wide streets and guarded by gates, but at Reed’s Crossing, the target demographic values public space. Millennials shun individual ownership and embrace the sharing economy. They don’t want a gated community, says David Brentlinger, vice president of operations for Reed’s Crossing. They’re willing to sacrifice mega-yards for shared pocket parks. Reed’s Crossing is one of three developments that make up South Hillsboro, a new neighborhood that will accommodate 20,000 new residents, along with parks and schools. The plan looks unusually dense for a suburb, spaced on average at four to five units per acre. South Hillsboro boasts 15 units per acre. City leaders are striving for more density and urban amenities across Hillsboro, the city’s planning director, Colin Cooper, says. Floor plans for new developments now feature accessory dwelling units. The city is concentrating efforts on “missing middle” housing — duplexes, triplexes and such — along with pedestrian, bike and transit improvements. The approach makes sense given the urban growth boundary, an invisible line around every city where development ends and farms and forests begin. Metro, the Portland area’s regional government, has approved four expansions in Hillsboro, Beaverton, King City and Wilsonville. Yet this only provides land for 9,200 homes, a drop of housing in the ocean of need. Metro is working on legislation that would allow midcycle expansions as early as 2021, before the next interval in the regular review process. Otherwise, the next possible expansion would come in six years. Some new developments place more emphasis on affordable housing than older suburbs. Hillsboro has built around 1,200 affordable units since the recession. Beaverton has developed about 138 over the past couple of years, about 10% of the need. A $652.8 million Metro bond to create 12,000 affordable homes will bolster their efforts as early as this summer. Even Happy Valley, the quintessential Portland suburb nestled in the Cascade foothills, could soon see more architectural diversity. Toll Brothers, a national luxury housing brand, is planning a development of 58 Northwest contemporary and Craftsman homes, starting at around $600,000, on the west side of Scouters Mountain. Customizability will be the defining feature. Michael Walker, Happy Valley’s economic and community development director, says the mixed architecture in developments at Scouters Mountain and Happy Valley Villages marks a departure from the largely uniform homes that characterized the suburb for decades. An increasingly urban form is also apparent in transit-oriented developments like Hillsboro’s Orenco Station and Beaverton’s The Round. Beaverton touts its first and already beloved food-cart pod, the BG Food Cartel, along with a spate of new downtown eateries. Downtown, by the way, is becoming walkable and bikeable as part of a development plan underway that includes four new apartment complexes with 230 units. Now it seems the suburbs are in repentance. Planners are building food-cart pods, transit-oriented mixed-use developments, architecturally diverse neighborhoods and walkable downtowns in the hopes that the prodigal tech workers will return. These developments are also a necessary measure to accommodate people fleeing the affordability crisis in Portland’s central city. All told, a confluence of consumer preferences, rising construction costs and population growth is taking the “sub” out of suburb. Will the skilled tech workforce embrace a hybrid “surban” style? Will longtime residents push back against increasing density? Can suburbia change dramatically enough, or will vast expansions of the urban growth boundary become necessary? That much remains to be seen. But one thing’s for certain. The “lonely crowd” will soon have a lot more company. 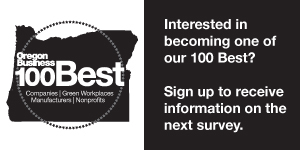 To subscribe to Oregon Business,click here. This article has been edited with the following correction: Beaverton is planning for 130,000 total residents in the next 20 to 30 years, not 130,000 more. This is quite amusing to me.. as a millennial. The developers and planners seem to think they know what I, a millennial, wants. I work in tech, I don't want to live in the city. I want a big back yard, big streets, big garage, quiet neighborhood. Space that is my own. I do not want to live in the city, or city like neighborhood. A neighborhood like Arbor homes, where there is single family and town-homes, walking paths and parks is great. No need for apartments. No need for walk-able shops when the strip mall is 5 mins away. But it would be nice to see town-centers and cities that already exist become more dense, since they are city like already, like downtown hillsboro or beaverton. But pls dont build apartments in neighborhoods. Build condos/town-homes. Thank you for listening.